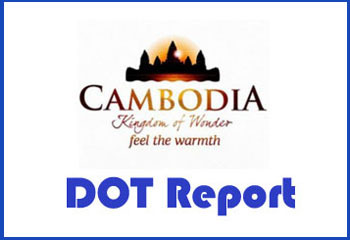 Battambang Department of Tourism: Report on activities, general situations and statistics of tourists coming to visit at any tourism destinations in the occasion of Khmer New Year during 3 days from 14 to 16 April 2018 in Battambang province. The situation of tourists on 14 – 15 – 16 April 2018 was seen sharply increasing throughout inspection on pagodas, streets and tourism destinations in the province. Hotels and guesthouses were entirely full of tourists and some tourists continued to stay at Banteay Meanchey, Pailin and Pursat province because of Battambang City have no enough room for staying. All of these are the most attractive event filling the better feeling of national and international tourists for the Khmer New Year Day during 3 days from 14 – 15 16 April 2018 in Battambang province. – The number of tourists in total consist of 700,042 increased by 175.12% if compared to 2017 consisted of 254,446% in total. – The number of national tourists in total consist of 699,213 increased by 175.18% if compared to 2017 consisted of 254,093 in total. – The number of international tourists in total consist of 829 increased by 134.84% if compared to 2017 consisted of 353 in total. 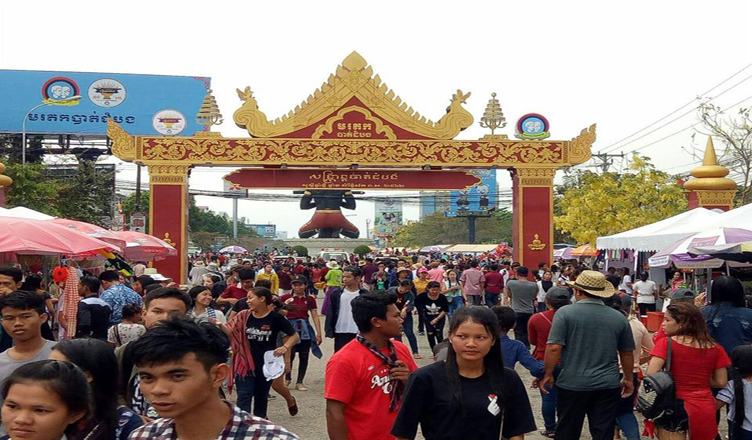 While in Battambang city, the event of Sang Kran Battambang is a magnet attracting tourists to make decision on extending their stays. At some tourism resorts, the department and managers put trashes at food shops for storing garbage, so sanitation is better and the number of garbage on the streets and tourism destinations have been declined remarkably. The order and traffic at the resorts are better because of well cooperation of district authorities, district military polices, district polices and tourist polices in preparing and keeping sanitation and parking lot in order to avoid the traffic jams in resorts. in preparing a variety of popular games such as: Lbeng Teanhpreat, Leakkunseang, Bes Angkunh Veay Korm etc. In Battambang city at night, there is the preparation of food and sweet exhibition of Battambang residents and have Khmer and foreign products exhibition, and there are concerts performed two places along with fire lighting and lantern in order to welcome Khmer New Year organized by Provincial Hall, Provincial Department of Tourism, Provincial Department of Culture and Fine Arts, Municipal of Battambang and related departments around the province. The Department requested and called for food sellers in all restaurants, food shops and resorts in the province to keep quality of food and not to increase the price of food and services in the occasion of Khmer New Year during 3 days. Department of Tourism inspected that tourists have been dramatically increased thanks to the policy of the Royal Government of Cambodia under the brilliant leadership of Samdech Akka Moha Sena Padei Techo HUN SEN Prime Minister of the Kingdom of Cambodia, as a leader who made the residents have better livelihood encouraging having tours. On the order hand by having indications from Leaderships of Ministry of Tourism as well as Leaderships of province and directly Department of Tourism have made efforts and paid attention in implementing their duties leading to better tourism development in Battambang province. Infrastructures to tourism areas have gradually upgraded, and security, safety and sanitation have been safeguarded and price of foods at tourism sites was slightly increased. The Department will make its effort to conduct research and prepare more new tourism destinations in the aims to attract more tourists to make decision to visit and stay in Battambang.